The Israeli army fatally shot two Palestinians on Sunday, including a minor, after the Palestinians allegedly stabbed and lightly injured two Israeli soldiers in central Huwwara village, south of Nablus, according to security sources. Also, according to the army, soldiers opened fire on and killed a Palestinian in the same region on Saturday, after he allegedly rammed his vehicle into Israeli soldiers at a checkpoint.An Israeli army spokesperson told Ma’an News Agency that two Palestinians stabbed and wounded a soldier before Israeli forces on site opened fire, resulting in the death of both attackers. The spokesperson said that initial reports suggested that an additional soldier was injured as a result of ‘friendly fire’ from other soldiers. One Israeli soldier received stab wounds to the face, while the other was injured by a gunshot wound to the leg from ‘friendly fire’, according to Israeli media. Both soldiers were evacuated to a hospital for medical treatment. 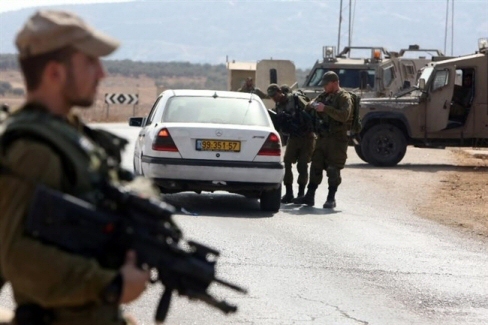 In the other incident, an Israeli army spokesperson reported that a 56-year old Palestinian man drove his car toward the Huwwara military checkpoint and “rammed his car into security forces manning the position,” injuring one soldier. The slain Palestinians were identified as Noureddin Saba’ana, 23, and Mohammad Rafeeq Saba’ana, 17, both from Qabatia town near Jenin, in the northern West Bank, while the driver was identified as Maher al-Jabi, 56. The Huwwara checkpoint is a major thoroughfare for Palestinians in the West Bank, as well as Israelis living in illegal settlements. It has been the site of a number of killings of Palestinians in the past three months, including several incidents in which the Israeli military was documented planting knives next to the bodies of Palestinians they had killed. It is one of four military checkpoints that Palestinians living in the Nablus district must cross to enter or exit the area, home to over 200,000 Palestinians. This brings the number of Palestinians who have been killed by Israeli fire since the beginning of violent unrest witnessed across the West Bank, Gaza, and Israel since early October 2015 to 140, including 26 children and seven women. Over 13,000 Palestinians have been reported injured.